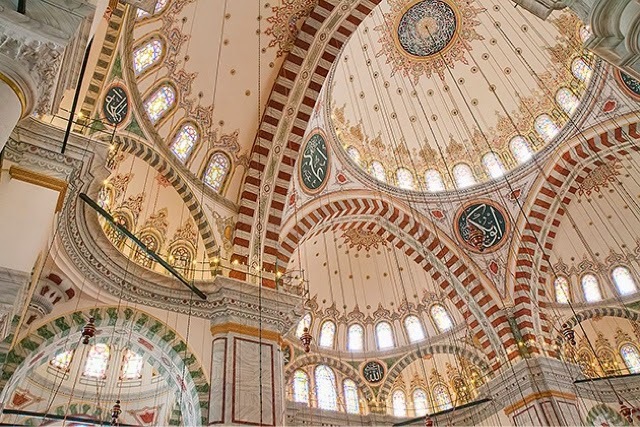 Fatih mosque, commissioned by Mehmet II to be built atop the Byzantine Imperial Chruch of the Holy Apostles is probably one of Istanbul's most important monuments. Situated on the fourth hill of the city, the Fatih complex and the surrounding area can be a very interesting itinerary for visitors to Istanbul. 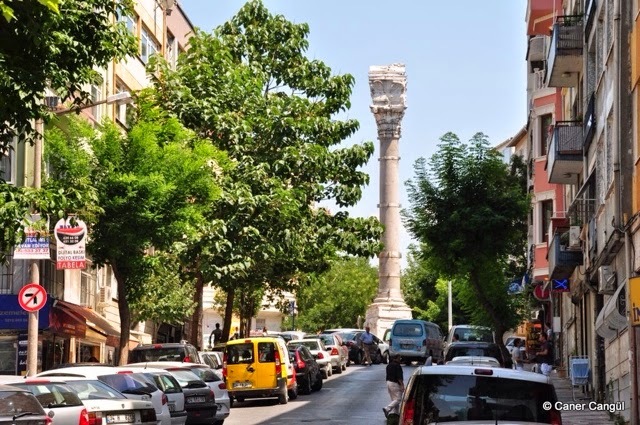 The neighborhood having been on the main processional way since the Byzantine Empire, contains an interesting mix of monuments and civic structures from the Byzantine and Ottomans as well as great possibilities for dining with the locals. Unfortunately due to a severe earthquake in 1776, the original mosque, built right after the conquest of the city in 1453, cannot be seen in the present structure. This is an 18th century reconstruction built in the Ottoman Baroque style. The name Fatih means conqueror in Turksih due to Mehmed II's success in conquering the city at the ripe age of 21. The mosque complex included eight medreses (educational institutions with dormitories) library, soup kitchen, hospital, hammam and market; the medreses and the library still survive to this day. 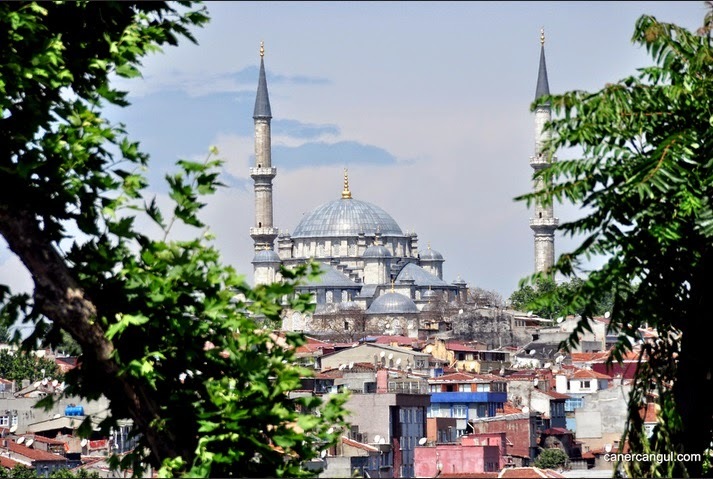 Eski Imaret Mosque gets it's name from it's function as a soup kitchen before the completion of the Fatih Complex. The building was the church of a convent built around 1085 by Empress Anna Delessena before being converted into a soup kitchen in 1453. Anna Delessena was the powerful mother of Emperor Alexius I Comnenus who ran the empire for twenty years while he was still a minor. She was also responsible for her granddaughter, the scholar, Anna Komnena's education. The empress spent the final years of her life in the convent of Pantepoptes - Christ the All-Seeing. Eski Imaret Mosque is located in the Zeyrek neighborhood of Fatih. Zeyrek is one of the World Heritage Sites of Istanbul contributing to its Outstanding Universal Value. 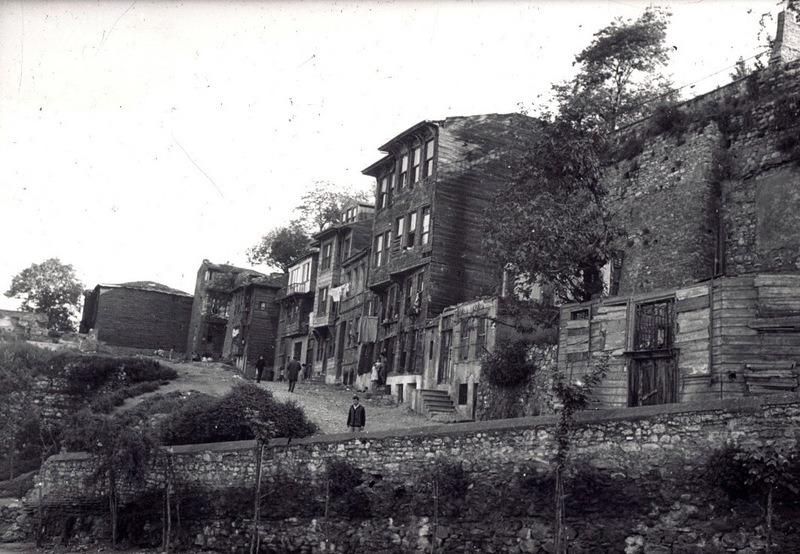 The houses in this neighborhood, most of which are in a state of disrepair, are noted for being examples of Ottoman timber architecture. Zeyrek is also home to what was once the Monastery of Pantokrator built by Empress Eirene Komnena between 1118-1124. The monastery complex Eirene had built included the Chruch of St Savior Pantokrator, a library and a hospital. 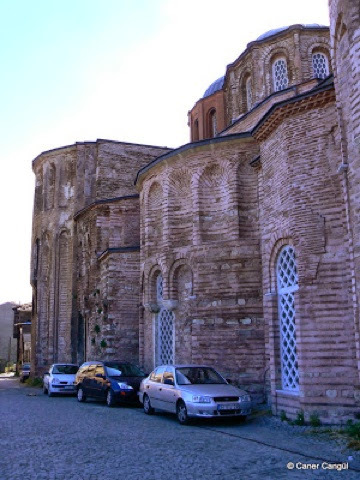 After the empress' death, her husband Emperor John II Komnenos, had another Chruch built dedicated to Theotokos Elousa (the merciful) 1120-1136. A chapel dedicated to Saint Michael situated between the two churches became the Heroon (the imperial mausoleum) for the Komnenos and Palaiologos dynasties. During the Latin occupation of Constantinople, the complex became the see of the Venetian clergy and parts of the altarpiece of San Marco, Pala d'Oro, is said to have come from here. 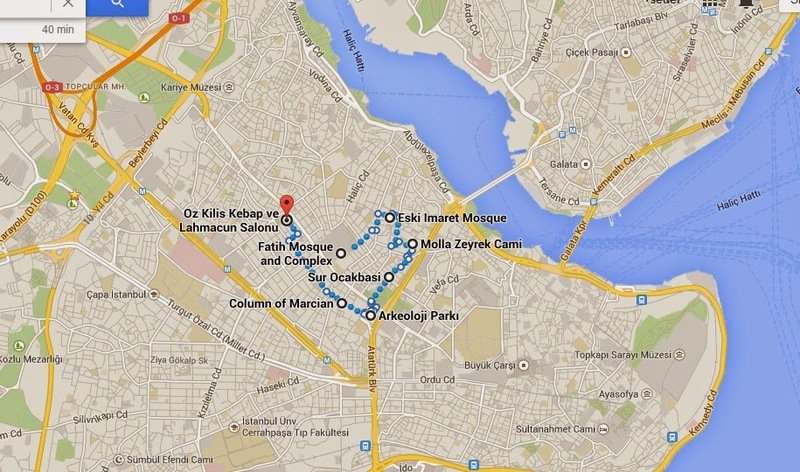 The current name of Molla Zeyrek derives from the name of the first imam after it's conversion into a mosque. 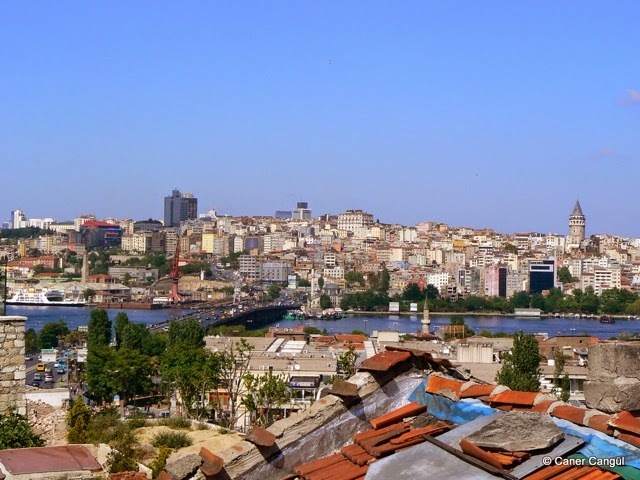 There is a cafe, Zeyrekhane, right in front of the structure with a magnificent view of the Golden Horn. If you can be there during the call to prayer, it is supposed to be a transcendental experience. If all of this sightseeing has got you hungry, then you can proceed to Kadinlar Pazari (Women's Bazaar) where you will find, among other things, an area referred to as 'Little Siirt' (because people who came from Siirt used to live here) If you are a meat lover, you will love the Buryan Kebap, baked in a pit, that is their specialty. I don't think mere words or even pictures can do justice to this experience: if you are not averse to salty drinks, I strongly suggest the ice cold Ayran (salty yogurt drink) which is the perfect accompaniment to the Buryan Kebap. 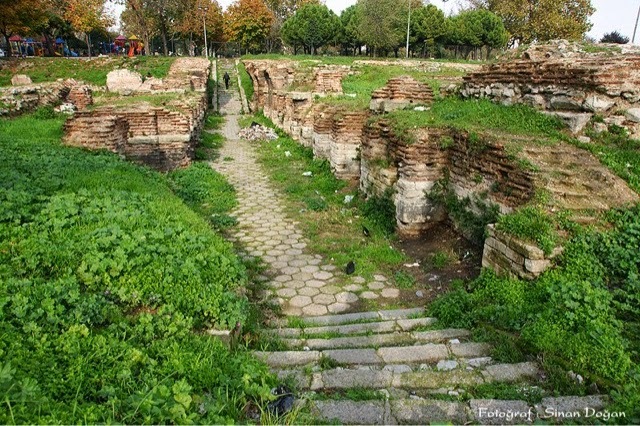 A short walk from here will bring you to one of my favorite (secret) places in Istanbul - the ruins of the Church of St. Polyeuktos. 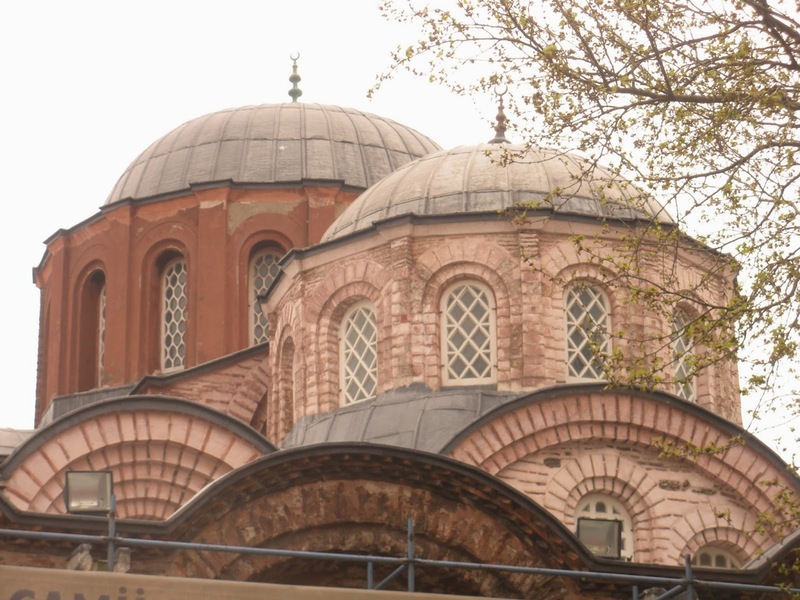 There is a great story associated with this Church involving another remarkable Byzantine Princess, Anicia Juliana (462- 528) who was connected to the Byzantine Royal family from both sides of her ancestry. Anicia Juliana lived during the regin of Justin I, and supposedly was bitter about the illeterate 'upstart' that sat on the throne. 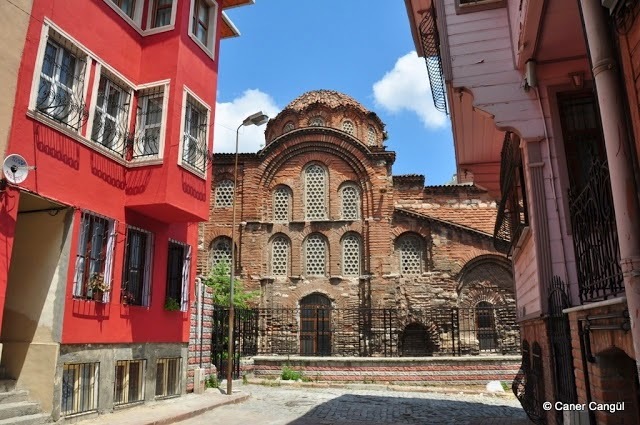 Built 524-527, Church of St. Polyeuktos was the most majestic church in Constantinople till Justinian had the Hagia Sophia rebuilt for the third time. She supposedly used all her wealth to cover the dome of her church in gold, in order to evade Justinain's demands for funds for his own projects. Standing a little awkwardly in the middle of traffic and apartment buildings on Kiztasi Caddesi, is what has been referred to by the locals as 'Kiz Tasi' (Maiden's Stone). Known by this name due to the figure of the Goddess Nike which can be seen at its base, this was actually the Column of Marcian, built in honor of Emperor Marcian (450-457) who was crowned by his wife Aelia Pulcheira Augusta, sister to Theodosius II. Pulcheria was another great figure from Late Antique Constantinople who foresaw her brother's education personally, ruled till he had his majority and was the biggest influence through this whole life. It seems this turned into a post about the great women of Byzantium - well, it can't be helped since there were so many great women who lived in these lands. But if this stroll through history has you hungry, I have another not-to-be-missed dining suggestion, only a 12 minute walk from Kiz Tasi, Oz Kilis. Don't be fooled by the humble storefront or the modest interior, this kebap restaurant has the approval of the people of Kilis (aka - my relatives) as the real thing. Besides the kebaps, they make the best lahmacun and their kunefe (shredded kadaifi) is out of this world (I sometimes go just for the kunefe) Best way to plan for this itinerary would be to get directions through google maps (see photo below) and then go in either direction, since it is actually a loop.